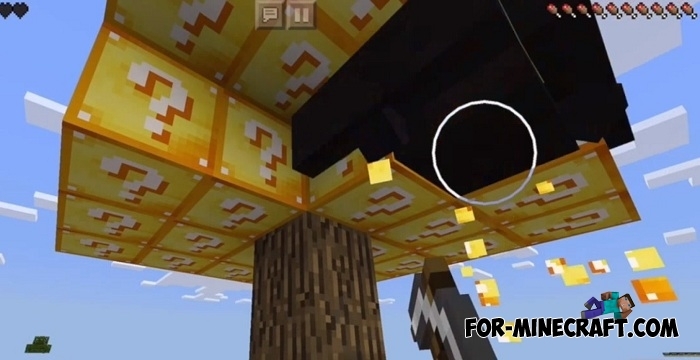 Mcpedash1 has used more variety and created a more interesting skyblock for survivors which offers players to visit several different islands in the air. 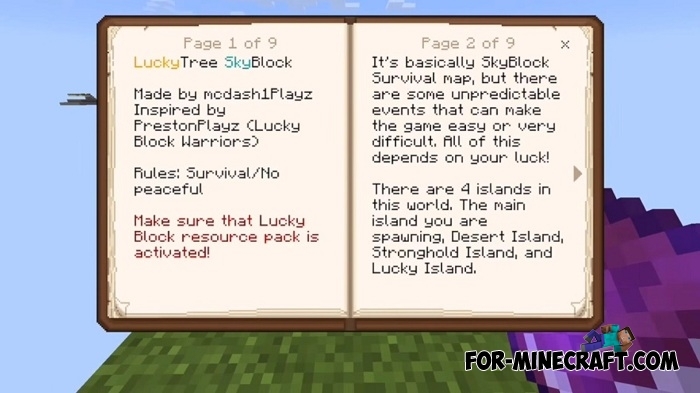 Traditionally, a Skyblock map is about a dozen mini islands where the player must survive: to get food, build a shelter, take care of development and eventually visit all the islands. The more days a player was able to hold, he is the best survivor. 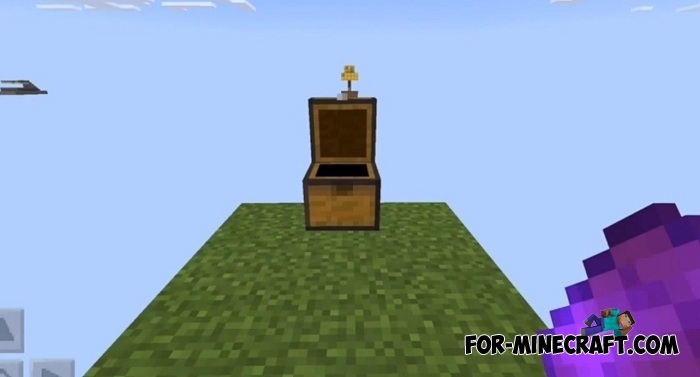 This skyblock has the same goals as the original, except that there are 4 islands and each of them offers the player something new. Read the instructions on spawn before doing irreversible things. 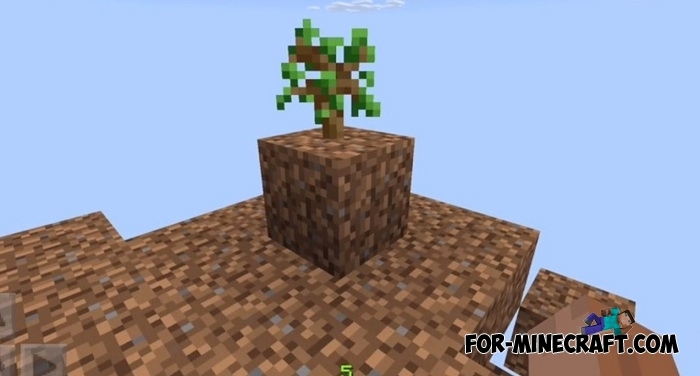 One of the main features is the luckyblock tree which generates lucky blocks instead of ordinary foliage. 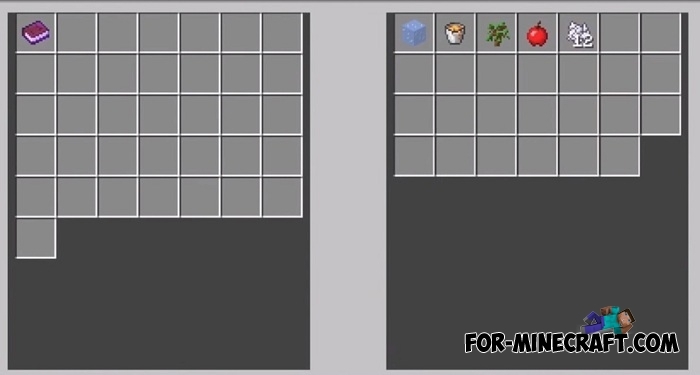 Open block after block to get as many valuable items as possible. Otherwise, you can run into death. Survival on these tiny islands is by no means the easiest task, even for experienced minecrafters.